We specialize in the litigation of patent, copyright, trademark, and unfair competition matters. Our lawyers have extensive experience in intellectual property litigation and have appeared in federal and state courts throughout the region. Our attorneys rank among some of the best in the country in intellectual law and thoroughly understand your exclusive rights to your ideas, inventions and creative works. 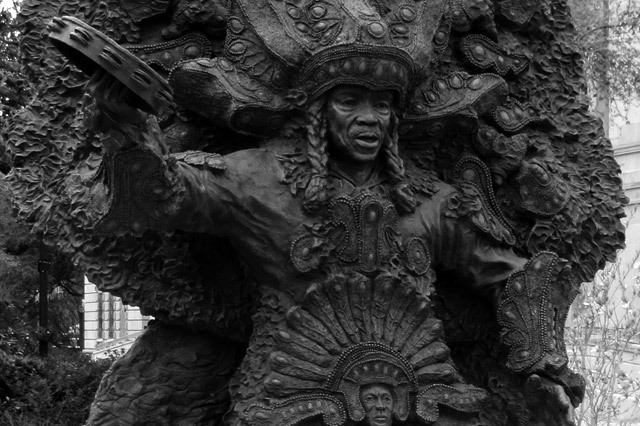 R&E represented Big Chief Allison "Tootie" Montana and the Yellow Pocahontas, Clarence Dalcour, Big Chief Hatcher, the Mohawk Hunters, the Wild Apaches and other Mardi Gras Indians and tribes as intellectual property counsel and advisor. R&E has worked with New Orleans Mardi Gras Indians on two occasions. Beginning in 1997, the firm worked with Big Chief Allison “Tootie” Montana and the Yellow Pocahontas to obtain intellectual property protection for his signature approach to building intricate, sculptural Mardi Gras Indian costumes. Through the efforts of Mr. Etter, Mr. Montana was issued copyrights by the U.S. Copyright Office for ten of his suit designs, based on the suits being classified as artistic expression and therefore subject to legal protections. On behalf of Mr. Montana, the firm then contacted book publishers, photographers and filmmakers to obtain compensation for the past and on-going exploitation of Mr. Montana’s copyrighted artworks. In 2004 and 2005, we assisted the Mardi Gras Indian Chiefs with re-forming and re-organizing the Mardi Gras Indian Council to collectively assert their rights in their costumes and artworks, and to obtain title to a building that had been donated for potential development as a Mardi Gras Indian museum. Our efforts were only partially successful in resolving various differences between Mardi Gras Indian tribes. The sudden death of Mr. Montana in August 2005, followed by the destruction and diaspora after Hurricane Katrina, prevented our efforts from being successfully concluded. This work illustrates the firm’s ability to identify unique opportunities to protect the interests of our clients. As a result of our work, the U.S. Copyright Office recognized Mardi Gras Indian costumes as artistic expression and not just functional costuming. Additionally, the firm’s pro bono work with the Mardi Gras Indians showcases its continuing efforts to support the unique arts and culture of New Orleans and the Mardi Gras Indians in particular. Powered byHow to deploy WordPress from localhost to server?